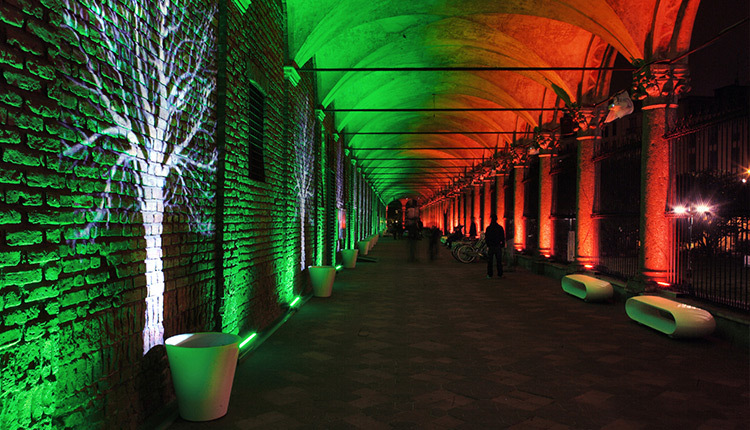 Temporary lighting. 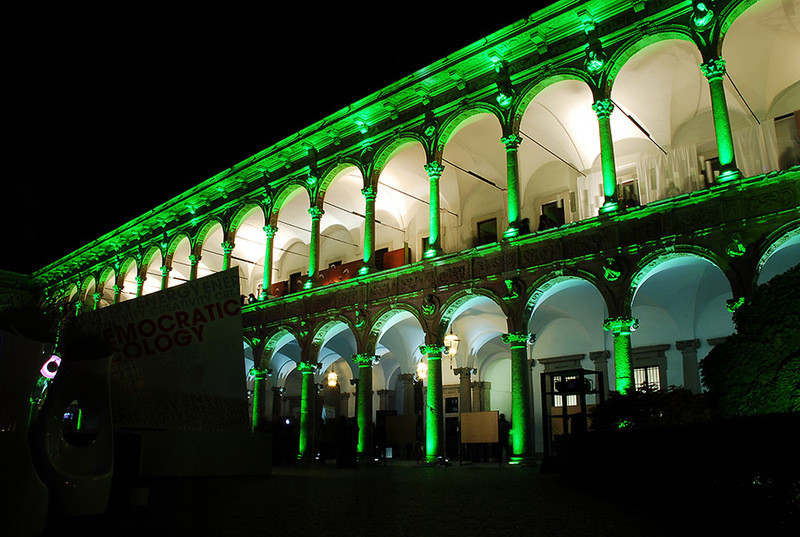 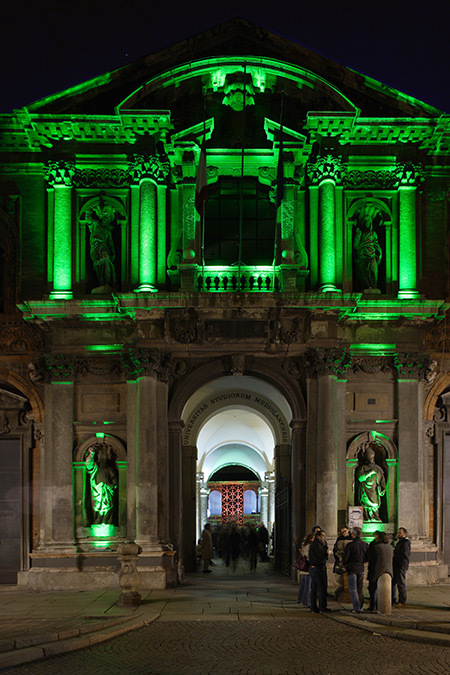 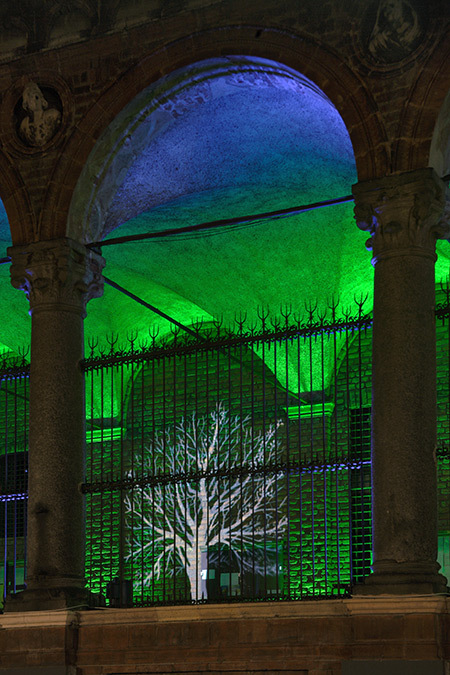 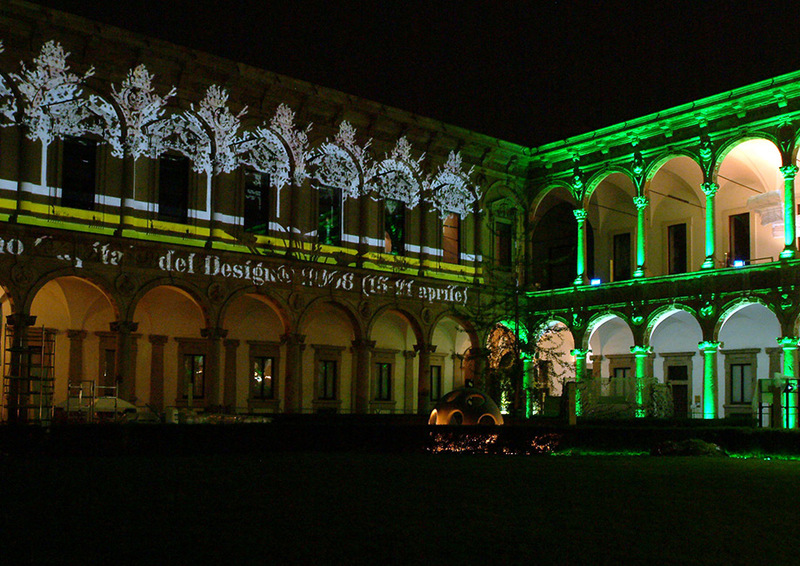 The "forest" of columns of the great cloister of Filarete, transformed into a stylised forest, with green lights and projections of trees. 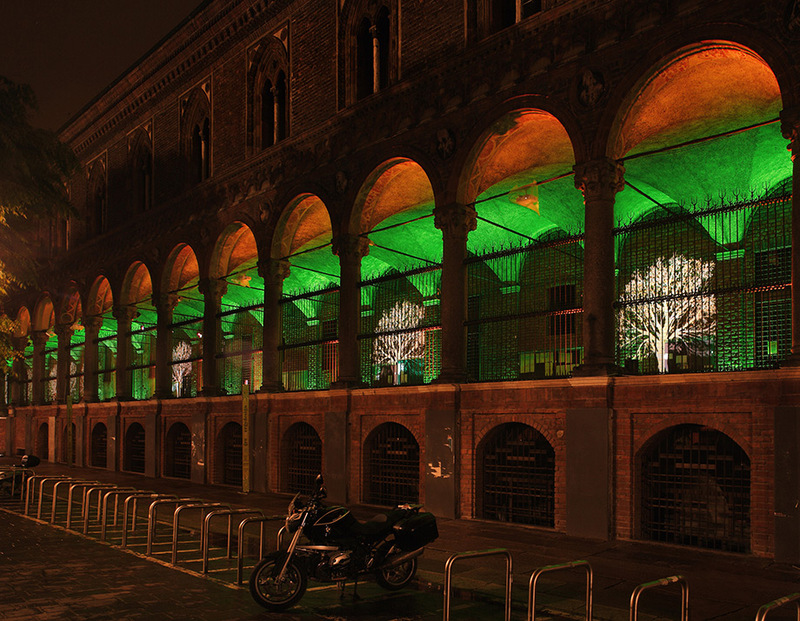 For Green Energy, the Fuori Salone del Mobile of Interiors-Mondadori exhibition.